I met this Chinese Chicken at the 1Future Forum this fall in Hurleyville -- where we asked, what can we do to help bring our world into balance? "If there is no LAUGHTER, there is nothing." Wishing you a beautiful holiday "pause" filled with the healing soundtrack of laughter. Run for Your Life is now an official selection for Comedy Pilots in the New York Television Festival July 14-19. We are screening Episode 01 & 02 on TUESDAY JULY 17, 9:30PM at the Helen Mills Theater, 137 West 26th Street. Here's the link to purchase tickets. And check it out, it looks like we will be sharing the theater with a lot of talented folks. This is a great festival all about connecting artists with the industry. If you haven't seen Episode 2 or 3, check them out here. the episodes, please check em out here. We luv em and you for watching. And mostly we love all the people that made this happen...pounding heart. Hopefully International Academy of Web Television and ITV will also like. We are thrilled to announce our first win, straight out of the gate! 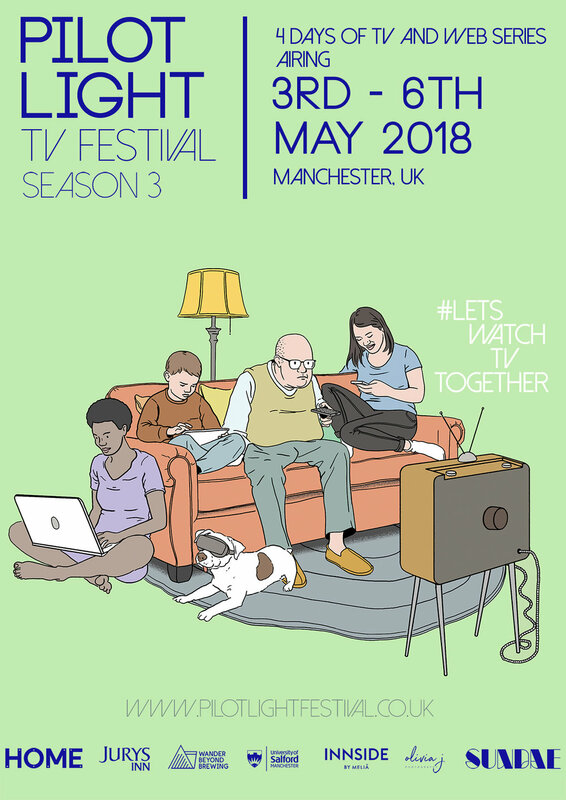 Pilotlight TV Festival in Manchester, England was such a well-curated festival and happy to have won Special Mention alongside Barbelle and Other People's Children (Best Web Series). ASSOCIATE PRODUCER or CO-PRODUCER (depending on experience and ability): Run for Your Life, a (newly) award-winning comedy web series about dates that make you want to RUN FOR YOUR LIFE, is looking for creative ways to market the series, get press, get more views, partner with platforms, tackle distribution, possibly find sponsorship and generally find funding so we can make the next 5 episodes. This is a great opportunity for someone who is a creative, go-getter and looking to grow into a bigger producer role. Unpaid for now. 8-12 hours a week. SUMMER SOCIAL MEDIA INTERN. : Run for Your Life is looking for a social media intern to help inject life into our social media outreach so we can build partnerships, build our audience and get more press! This is a growth opportunity for the right (fun) person to work with a solid series with a lot of potential. Unpaid. 5-10 hour per week.